Further to our bulletin of January 14, 2019, the parties reconvened in Mediation, January 22 & 23, 2019. Your Negotiations Committee presented the Company with a comprehensive proposal, detailing your bargaining priorities, in response to the Company’s comprehensive proposal of January 11, 2019. We also requested additional information, pertaining to the 2018 labour costs and current employee particulars to assist us in assessing the Company’s offer and preparing our response. The Company responded with an offer withdrawing and/or amending their position on several items that the Union had believed were resolved between the parties. 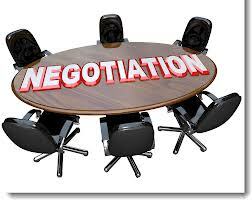 Your Negotiations Committee advised the Company that we were not in a position to respond to their proposal at that time and that we were available to reconvene to resume Collective Bargaining, February 26 – 28, 2019. On January 28, 2019, the Company provided the information we requested on labour costs and employee particulars. Your Negotiations Committee is reviewing the material provided and is considering our response. We remain available, as proposed to resume Collective Bargaining on February 26 – 28, 2019 and will continue to bargain in good faith to achieve the renewal of a Collective Agreement. tentative agreement that recognizes your contributions and rewards your hard work and commitment. The Negotiations Committee has decided to continue with the Strike Votes at each Bargaining Unit throughout the Region to give you an opportunity to send a message to G4S about your support for a fair Collective Agreement. The timing and locations of each vote will be coordinated with the Chief Shop Stewards. Details pertaining to the voting location, information sessions and polling hours for each Bargaining Unit will be communicated to the Membership in advance. Your Negotiations Committee thanks your continued support, patience and solidarity and commends you for your continued professionalism in preserving the safety and security of the public.